The POE-MSPLT line of dynamic splitters are compact Power over Ethernet adapters which splits the Data and PoE power onto separate output connectors and converts the active PoE (IEEE802.3af/at) input into a regulated DC output voltage. 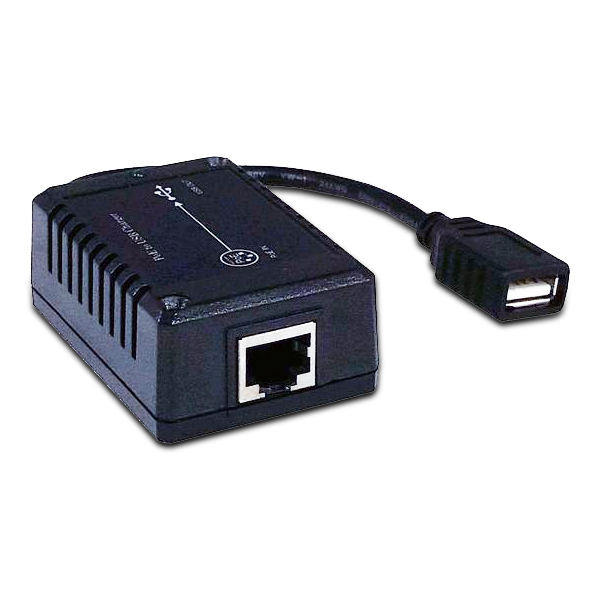 The DC output is provided on a standard 5.5mm/2.1mm barrel connector and the Data output is provided on standard RJ45 network connector, each on a dedicated 6” cable. In addition to being compatible with 10/100MB Ethernet speeds, inputs and outputs are isolated and the devices include protections for short circuit and overload. The unique POE-MSPLT-USB provides a USB output to power smartphones and tablets from PoE devices like network switches or PoE injectors.